Racing Fans Get Ready To Rumble! All you Motor-heads start your engines! 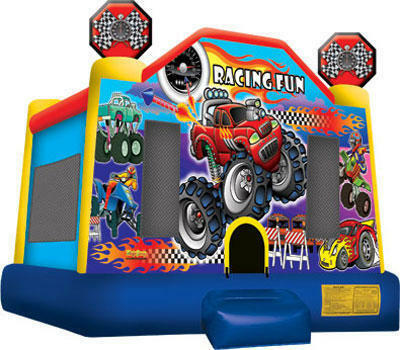 It's time for some racing fun with exciting new bounce house rental. Bright colorful monster truck graphics scream out at the entrance of this large bounce house rental. This is a great choice for your racing fans guests or the guest of honor at your next party.